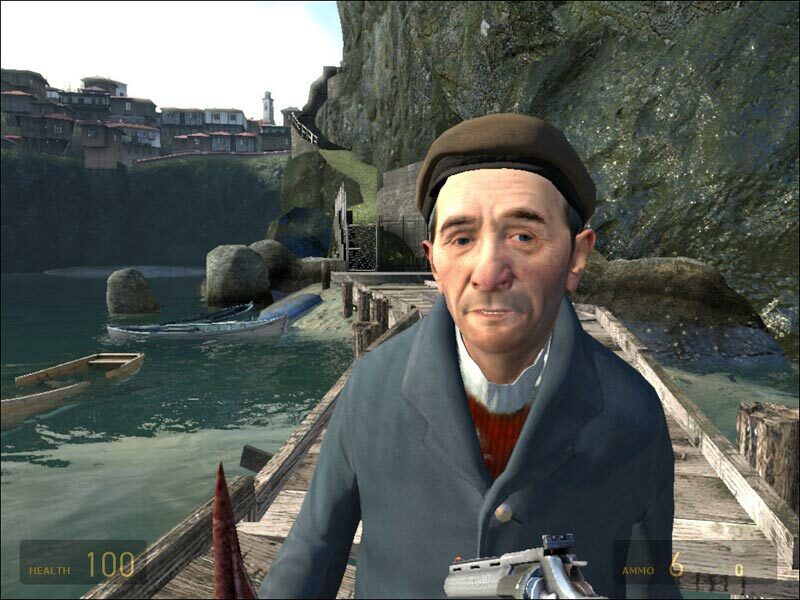 For some strange reason I started thinking about the old fisherman character in The Lost Coast and I thought that he might make an interesting character to make a mod around. Below you will find a couple of skeleton ideas for some mods. Firstly he can’t be a gun-wielding run-fast kind of character and perhaps the levels need to reflect this. I also thought that to compensate for his lack of physical ability he could have increase shooting skill. This would translate into higher damage being done with each on-target shot than normal. Maybe even double but those things can be worked out later. I would also expect his health to be lower meaning that perhaps stealth is a big part of the gameplay. Another point would be his physical strength, maybe when using rifles or the magnum the recoil is quite large. What I’m trying to say is that this character has shooting skill not physical strength. This would require the express permission from Valve but maybe there are possible alternatives. 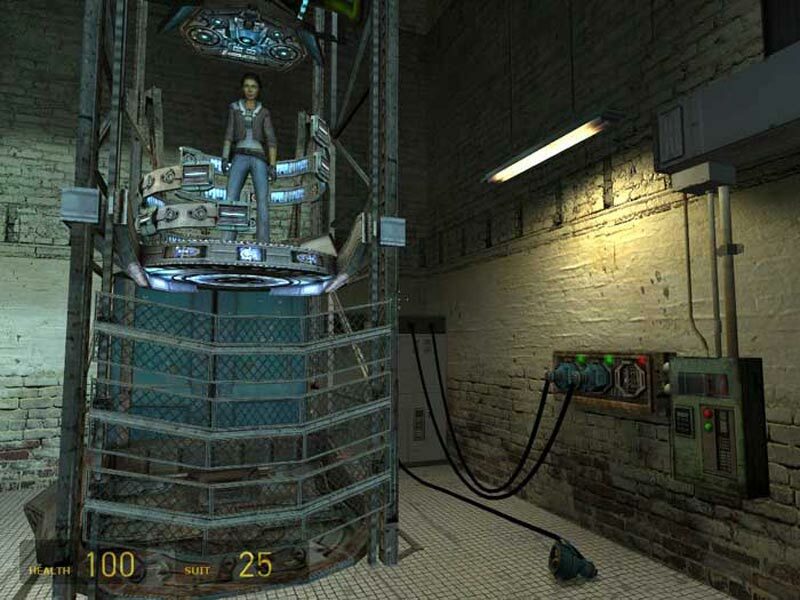 Anyway, the player takes control just as Gordon Freeman starts to disappear. He’s alone and decides to explore the chaos left behind by GF. On the way up to the monastry he collects a weapon or two. Near the top he hears some helicopters, turning around he sees that the Combine have dropped a number of soldiers and they are making their way to the top. The thing to do is find a good ambush point and hold them off for as long as possible. “Maybe that fellow will return?” Whatever happens you can’t stay he for long. A stray rocket opens up a path into the village and with luck you can make you way through the disused chemical plant to the house on the cliff. It has an underground tunnel that you can escape into. Idea 2 � The Portal Expands! 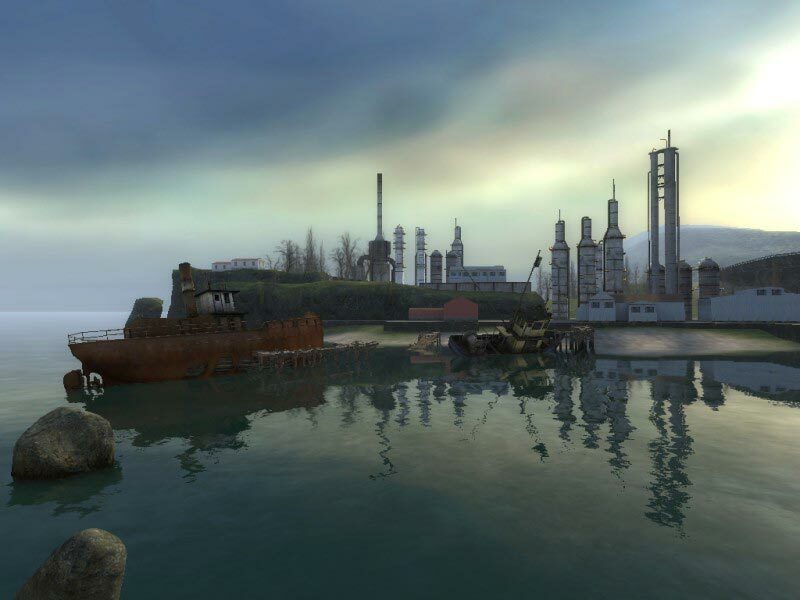 As Gordon Freeman is being transported away from the Lost Coast you are somehow taken with him. Where he goes and what dangers he faces are entirely up to the developer. I think a trip back to Dr. Kleiner’s lab might be fun. From there you can attempt to make you way back to the St. Olga. So, there they are, what do you think? There could be so many facets to this character, perhaps he is an undercover agent for the G-Man, or maybe a Combine Spy? Chances are, the old man would “play” like I do (an old man as well): with deliberation and caution. Unless I’ve already played a section and I know what’s coming and know where I need to be and when, I usualy go very slowly, trying to trigger the next wave well ahead of where they come out, so I can back up some and get the drop on them, usually by picking a “pinch point”, where the baddies will be forced to bunch up and come through one or two at a time. I guess this would make me a “sniper type”, but the old man would likely be the same, limping along slowly, but taking out the baddies with well-placed head shots, and never getting into a melee with a large number, preferring to duck down behind a shield of some sort, or picking an advantage point where he can hit the baddies without taking too much himself. Heh… we had similar ideas! I’m currently designing a map based on the idea that you are one of the rebel-refugees from City 17 that GF and pals helped escape at the train station in Episode 1. After travelling all night, you end up in a port city that is a Combine staging & supply depot. All you have to do is escape the city without the Combine noticing. Play would be focused on stealth and problem-solving, since killing more than a few Combine or Metrocops would alert them to your presence. That’s the idea, anyway. Whether I actually complete a playable map is another story, heh. I think it’s a wonderful idea about the fisherman. I really liked him in Lost Coast and would definitely play a mod centered around him. I’m becoming more amazed by your talents Phillip. Maybe he was the leader of the rebels & had to go in hiding in order to help keep his son safe (aka Gordon). I’m becoming more amazed by your talents Phillip. Not sure about the Gordon Freeman connection but I like the part about the rebels. Yeah, the son/father is kinda cliche.